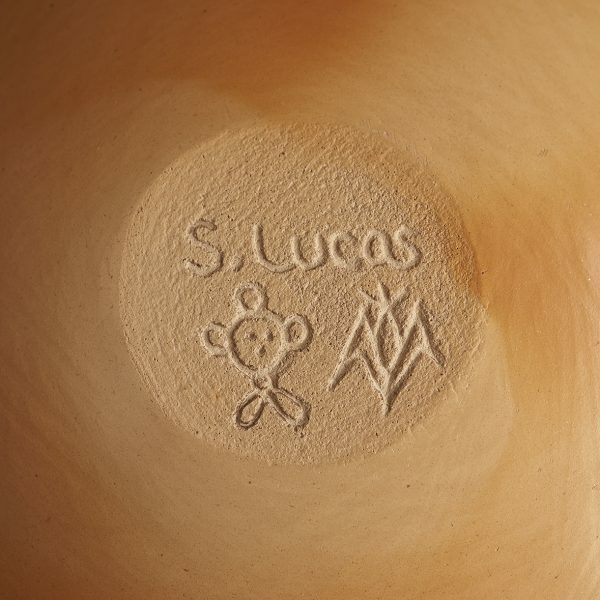 Bearing the Hopi name Koyemsi, which stands for the Hopi-Tewa mudhead clown, Steve Lucas has become one of the premier potters from the Nampeyo family. 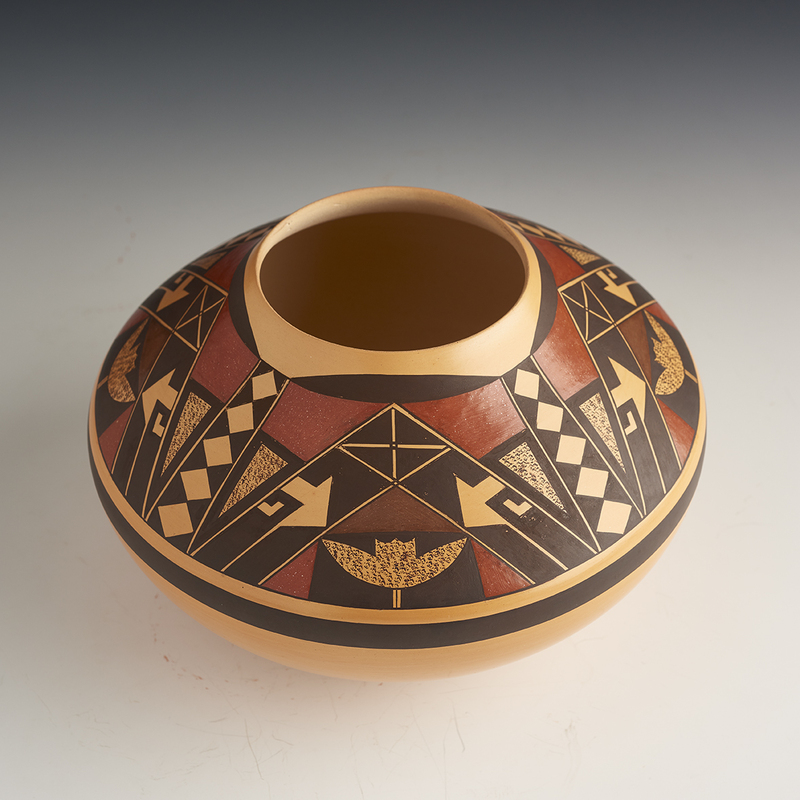 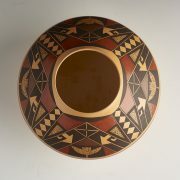 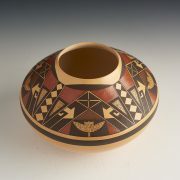 He consistently wins blue ribbons at the Santa Fe Indian Market, the Heard Museum Guild Fair and the Gallup Ceremonial. 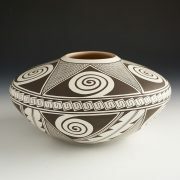 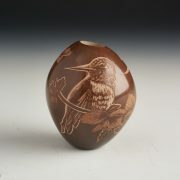 His work is made in the traditional style of his great-great grandmother, Nampeyo. 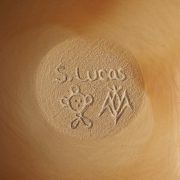 He coils, pinches, scrapes, sands, and then fires outside. 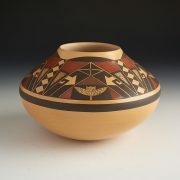 Steve uses vegetal paints, and is able to achieve beautifully deep, rich colors in his design work.